All students and employees are pre-registered for CIA Alerts based on information currently on file with the Institute. This includes name and CIA email address. Student cell phone numbers are also preloaded (if provided). To ensure that you will be notified you must verify and update your personal information. Family members whom you wish to receive Alerts should be added as additional email addresses and or phone numbers within your account. You may have a maximum of 2 SMS (TXT) numbers, 6 Email addresses and 4 Voice numbers listed. 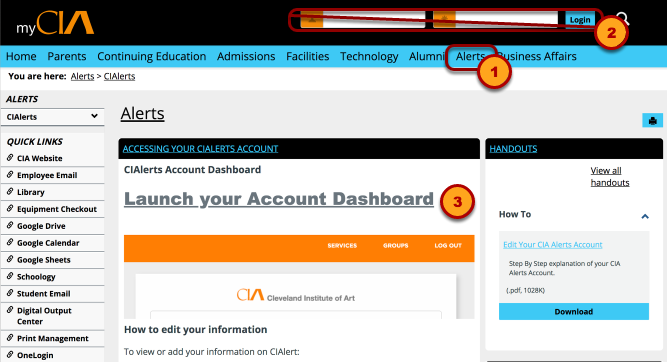 There is no need to log into myCIA to access your CIA Alerts account. If your account dashboard loads immediately, don't worry. This means you are already logged in to your CIA account. "Services" lists current email addresses and phone numbers. Email addresses and phone numbers are entered or edited here. "Groups" displays the groups to which you belong as well as those to which you may subscribe. Add an additional phone number or email address. Click button to submit the addition. A service cannot be updated. It can only be made Inactive or Deleted. Incorrect service information should be deleted and the correct information then entered as a new entry. 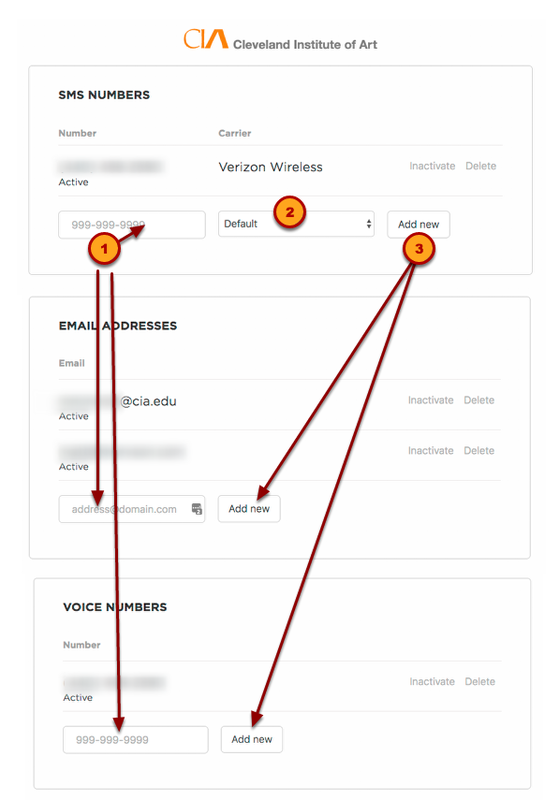 Multiple contacts may be used for each service. New service information will need to be validated. 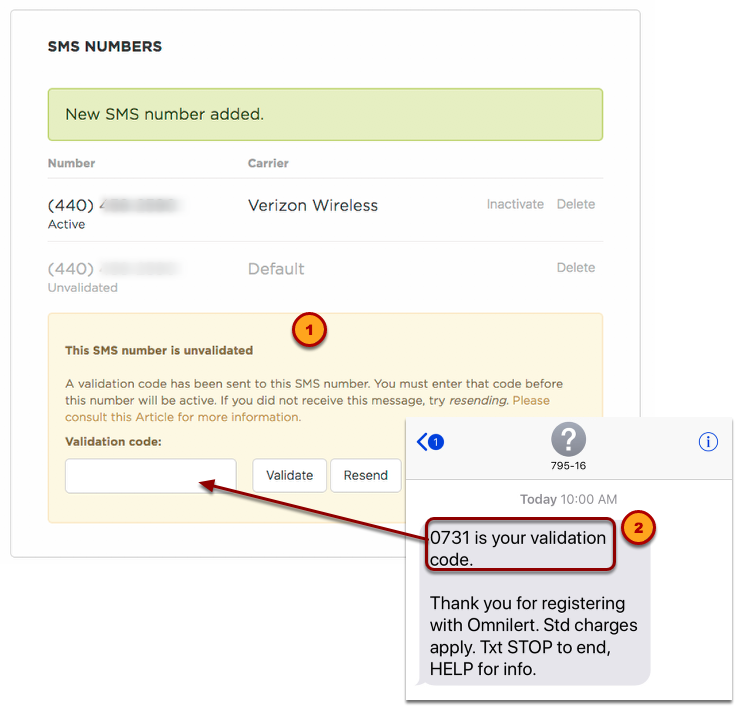 SMS (TXT) numbers will be sent a validation code. Enter the code received and press validate. 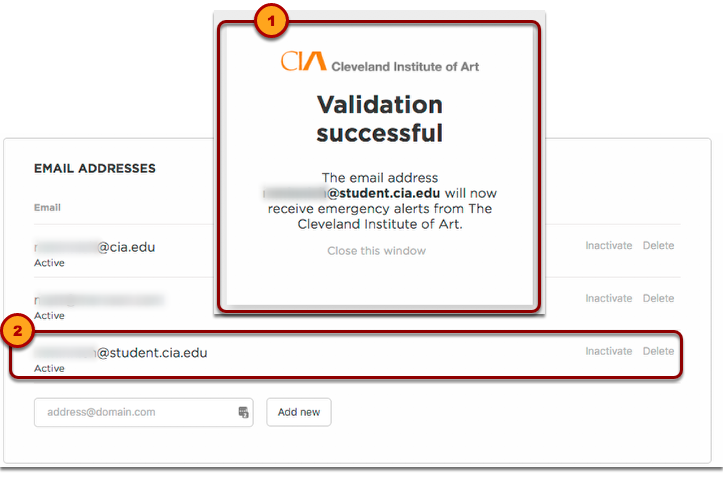 Email addresses will receive an email containg a validation link. 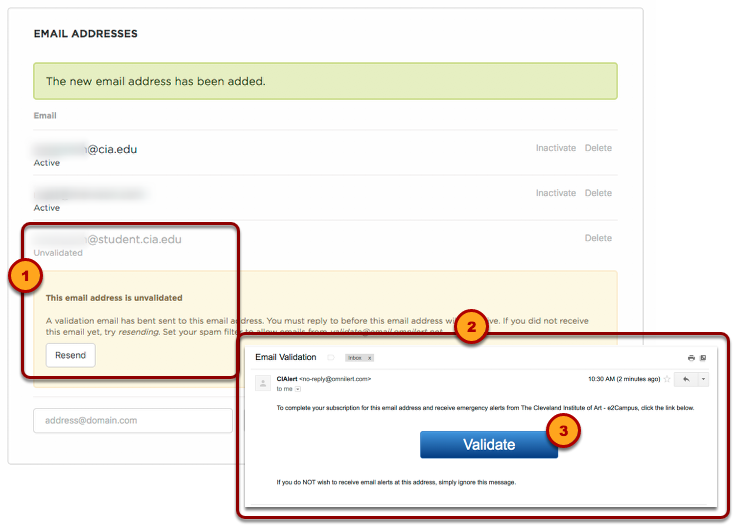 Open the email and click "Validate" to activate the new email address. Voice numbers are added with no need for Validation. Deleting a service removes it completely from the subscriber account. Note that the confirmation message does not state the exact service to be deleted. Make sure you are deleting the desired service. Making a service Inactive does not remove the information from the subscriber account. It may be reactivated at a later time if desired. The service simply becomes Inactive with an option to "Activate" or "Delete"